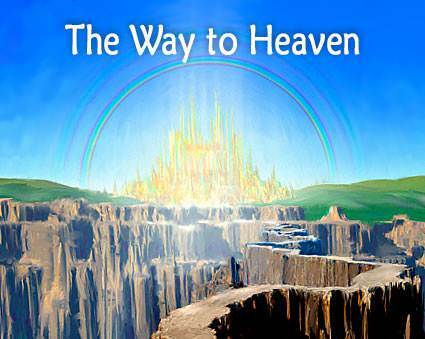 The Greatness of God's Son | Lesson 9 Questions in series "The Way to Heaven"
1. Who is the Bible talking of when it says: "All things were made by Him; and without Him was not anything made that was made"? a) Jesus Christ, God's Son. a) seeing what it was like to be human. b) telling and showing us what God is like. 3. Who said: "He who has seen me has seen the Father"? a) the kind and gentle One. b) the One who came to save us from our sins. a) Old Testament prophecy predicted it. b) Jesus said: "I lay down my life...no man takes it from me, but I lay it down of myself." a) people who try to do right. b) His Son, Jesus Christ. a) the place of greatest honor. b) a place of great honor. a) The Archbishop of Canterbury. b) The Pope in Rome. 9. (OPINION) Do you think you understand more about Jesus after studying this lesson? c) The lesson covered things I already knew. 10. (OPINION) Did this lesson stimulate you to think about life directions that would make you more pleasing to God and to the Lord Jesus?